British archaeologists claim that they have found the childhood home of Jesus Christ located beneath the Sisters of Nazareth Convent in Israel. The ancient Jewish home in Nazareth, which is being claimed to belong to Jesus, dates back to the first century AD. Meanwhile, historians are excited about what they claim is an opportunity to learn about the life during Jesus’ childhood. University of Reading archaeologist Ken Dark and his colleagues, who spent several years excavating this house in the city of Shefa-Amr, believe that it was here where Jesus had spent his infancy. Dark, who is the director of the Nazareth Archaeological Project, at length tries to explore the evidence that suggest that the house located underneath the Sisters of Nazareth Convent in the city of Shefa-Amr is in fact the place where Jesus spent his formative years. 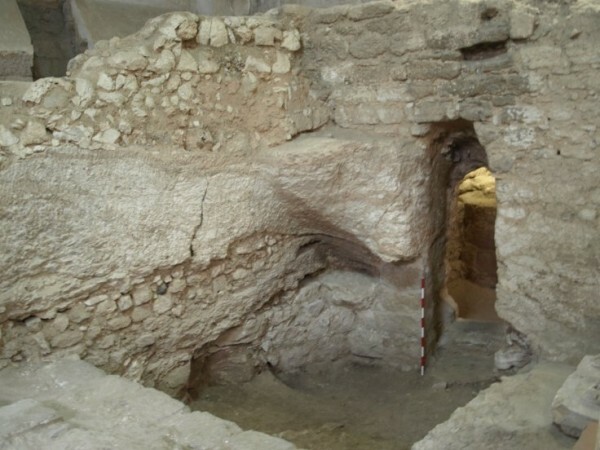 In the Biblical Archaeology Review magazine, Dark has presented some strong archaeological and geographical evidence to prove that this site in Nazareth is where Jesus transitioned from a boy to a man. The excavated house is believed to have been cut out of a limestone hillside and has a series of rooms and the remains of a stairway. Broken cooking pots, a spindle whorl and limestone artifacts have been recovered. The archaeologists concluded that the house was inhabited by Jews as those in the Jewish community preferred using limestone utensils and considered limestone to be a pure material. Dark, comparing the description of the house in a pilgrim text – ‘De Locus Sanctis‘ written in 670 AD by Abbot Adomnan of Lona, says that the site at the Sisters of Nazareth Convent matches because there is evidence of a large Byzantine church with a spring and two tombs. He also takes in the fact that the house was protected by both the Byzantine and Crusader churches, which proves its historical importance. “Both the tombs and the house were decorated with mosaics in the Byzantine period, suggesting that they were of special importance, and possibly venerated,” he wrote.